Becoming the kind of person you want to be may be the most rewarding journey of your life. It’s in your power to make the changes you want most, to live a better life, to truly believe in your ability to grow, to learn and to transform. You can be kinder to yourself, and more accepting of your flaws, and still drive yourself towards consistent, positive development. For many, these may seem daunting goals, but you can achieve them. 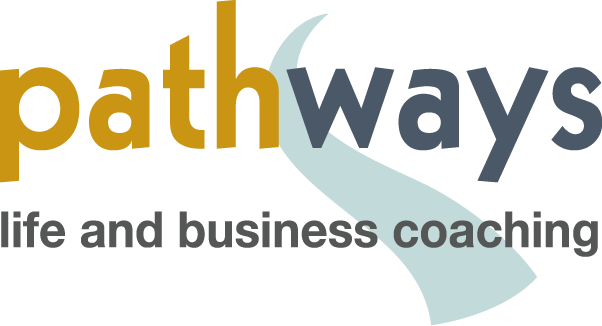 Pathways’ life coach Andrew Leigh helps clients find their own personal route to becoming the better person they want to be. Like all coaching topics, it helps immensely to know what you’re aiming for. That’s why building a vivid and compelling image of your future, better self is key. Once that is in place we can work together on your own individual path – celebrating your achievements as they happen, and using supportive, positive learning from any miss-steps. I understand your desire to become a better person. I’ve made the journey myself (I’m still on that journey). And in the 15 years I’ve been a full-time coach I’ve worked with hundreds of people who have travelled this road too. I’d love to help you towards being the person you want to be. Your first step is to actually make it happen by simply getting started. I’m happy to talk with you about how I can help, and how the powerful process of coaching can help you achieve real and significant change. 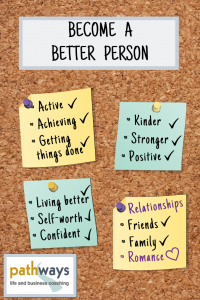 Now really is the best time for you to become a better person. Please note that if you have mental health issues, therapy may be a more appropriate and effective route to help you achieve the changes you’re looking for. I’m happy to talk with you about this if you are unsure. However, life coaching is not a therapy and I am a life coach, not a therapist.